I know much of the country is suffering through a heat wave right now, and many places have a serious drought. This is a huge problem and one that should make me feel grateful to be where I am. But instead I want some heat. Want to sweat and drink tall, cold glasses of lemonade in a sundress. That’s summer! It’s the natural order of things. Temperatures in the ’50s all week in JULY is something else entirely. It’s COLD, for one. And dark. And oh so depressing. The wind whips by constantly making me shiver in jeans and a WOOL sweater if I open too many windows. In the morning, the brown wood of our back porch is covered in puddles from a night of dripping fog. 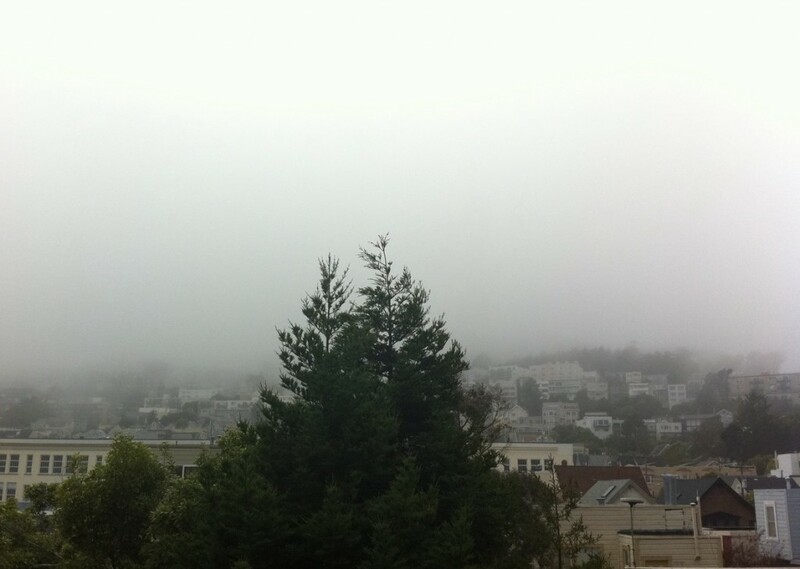 Yes, this is currently the top reason I can’t wait to move – anywhere without the constant fog! 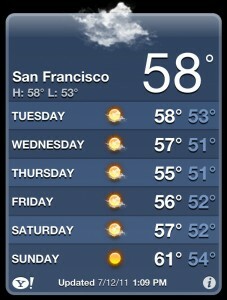 And why I can’t wait to be in Spain for a month with the in-laws and sweltering 90-degree days. So for now, I hope you’ll comment with links to your summer blog posts so I can vicariously feel the heat while nestled under a blanket working on my dissertation in SF. And if you’re in a place with a drought, I hope it rains soon!